Click the “Schedule” button to view and reserve a space for your next class. We all have so much potential. See the Events & Special Classes Tab for upcoming Workshops and Events! My first yoga experience was my mom taking me on a mother/daughter retreat in the beautiful Colorado mountains. I was fifteen and did not have any confidence in myself or my yogic abilities. I have learned a lot in the past twelve years since that experience, namely that yoga is the practice of treating oneself to unadulterated time. It is a rare gift in today’s often hectic society; a gift that is given by making the decision to show up on the mat. I have learned that it does not matter if you are doing a perfect and complicated asana or spending your time on the mat breathing in devotional pose, if you are practicing mindfulness, listening to your body rather than your ego, and breathing than you are embodying yoga. This is the gift that I hope to bring form to for my students. Erin uses only ambient sound in her classes. She also prefers not to use intense, essential oils, or other fragrances in the space. Erin is trained in gentle physical adjustments and acupressure and will use only with permission. Ellen Goldlust grew up in Northern Virginia and moved to Blacksburg with her family in 2000 after living in Charlottesville; Madison, Wisconsin; and Conway, Arkansas. After dabbling in yoga on and off for years, she began practicing more seriously in 2011 while in the midst of a divorce. As her 2015 midlife crisis, Ellen decided to obtain her 200-hour certification, and she completed that training with Nicole Boyle at In Balance Yoga in Blacksburg in June 2016. In October 2016, she also completed BlossOMing Yoga’s Restorative Training. For Ellen, yoga has been a way to help heal spiritual and physical injuries, and that’s the approach she takes in her classes, which focus on opening the body, releasing tension, and creating an inner calm that yogis can take with them off the mat. 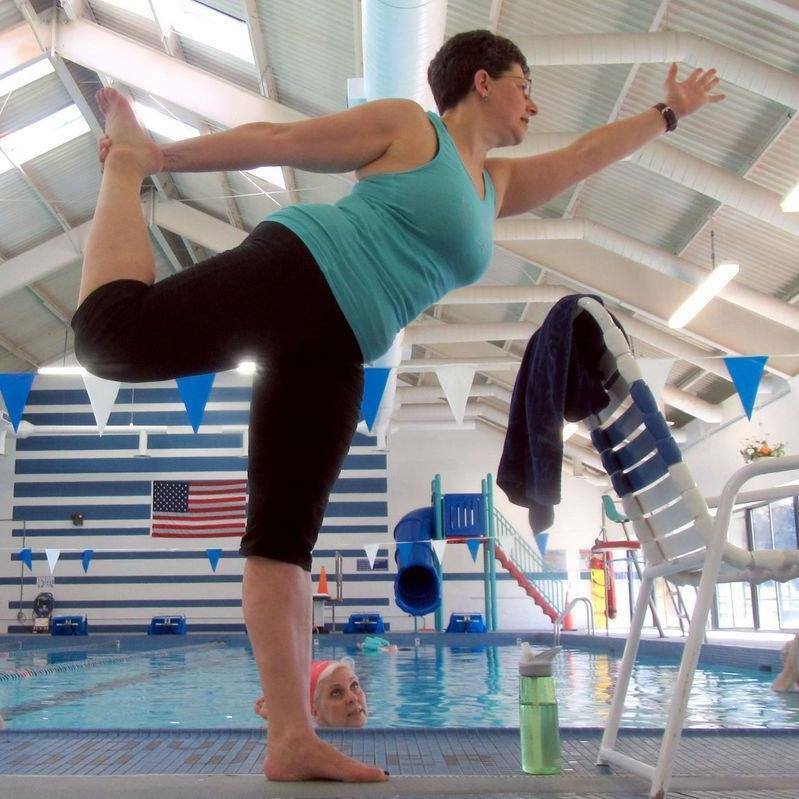 Ellen teaches a variety of styles but particularly enjoys gentle flow, prenatal, and aqua yoga. Leia is an artist, dancer and yoga teacher. She is a certified Hatha Yoga instructor and has a degree in Dance and Choreography from Hollins University. Leia is currently pursuing her 500hr certification in Therapeutic yoga from the Wilmington Yoga Center. Her yoga practice is inspired by observing our deep connection to all things on a fundamental level. She has experienced firsthand how Yoga helps eliminate the stress, anxiety and unhealthy habits that keep us from accessing greater presence. Her unique soulful teaching approach combines an emphasis on breath, alignment and intention. Leia hopes to inspire more joy, freedom and peace through the healing practices of yoga, dance and meditation.